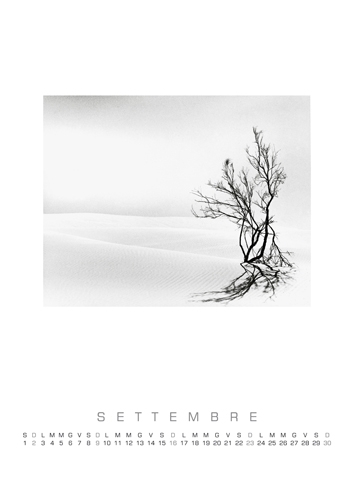 13 stylish black and white photographs in the series Silver White printed in high quality limited edition of 100 copies, numbered and signed by the Author. While it is true that nature is dominated by the color is not at all easy to try to grasp what because the sea can be blue or indigo and turquoise, sky blue as well as pink, orange, fiery red, a mountain can have metallic shades, a forest reflect the infinite shades of green. Things change when to deal with the natural world, the photographer chooses to use the black and white so as to force the viewer to enter into a universe of references loads of charm a bit ‘mysterious. 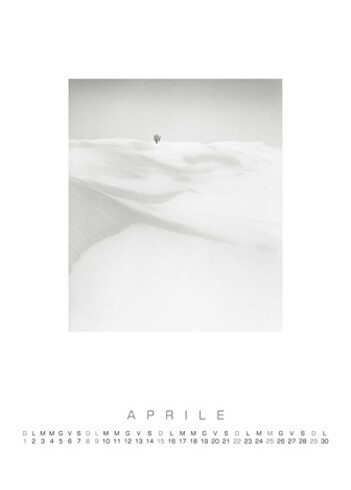 Francesco Bosso is a careful student of classical photography well composed and printed by him strictly for the plasticity and the spectacular care to the American School of Ansel Adams and Edward Weston of which is stated connoisseur. 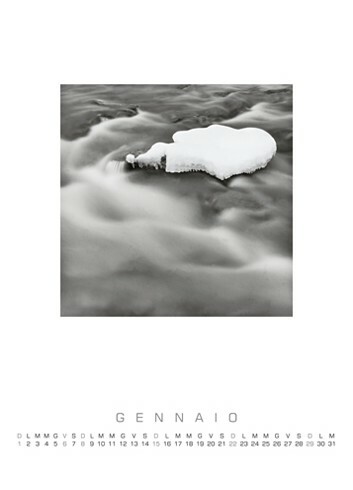 The images reveal his personal perception of nature as a pristine place, almost the opposite – as you can imagine the utter lack of human figures – one in which we live. His landscapes are bathed in silence, appearing as faint visions, evoking a rarefied atmosphere, take on a grandeur that you can not escape. 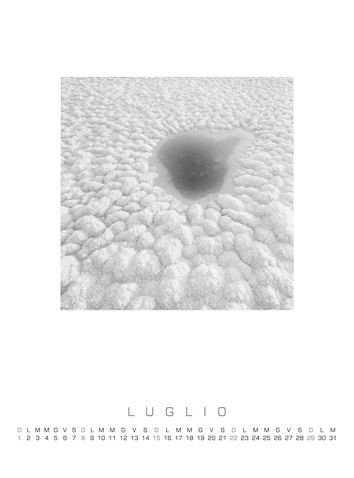 These all natural paradises surface, the solid ice, the milky sea, the positions of the mystery of the desert, the compact design of the sky, come to resemble one. And ‘the effect of a black and white all played on the lighter shades where what appears to be the volumes created by the many shades of gray and white dall’abbacinante appearance. 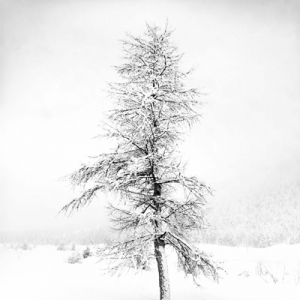 The photographs of “Silver White” indicate a few seemingly simple elements – a snow-covered tree that stands up to the sky, two dunes that are pursued in a web of geometries, a slit opening in the ice – and yet are able to pass a subtle charm, the nature reserve as a gift to those who can observe, describe, interpret it.